Oil stains on a dock prematurely ruin the concrete. They can also be unsightly and, ruin the beautiful marine setting as well. 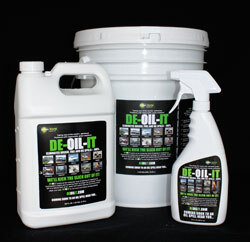 DE-OIL-IT is the powerful green dock stain remover. Mop, Spray bottle, Pressure can, Backpack sprayer, Floor scrubber. 1. Dilution Ratio: (for concentrate only), full strength up to 1-part product to 3-parts water. The 22oz. spray bottles are ready-to-use. 2. DE-OIL-IT is water activated and once applied as a dock stain remover, it needs to be kept hydrated to work. When water has evaporated, solids in product remain dormant until rehydrated. If rehydrating, do not rinse away the solids. Spray water lightly or just wait for rain, morning dew, or the next application to reactivate the solids. 3. New stains are removed instantly. Older stains take longer and may require several treatments over a several day period. This will depend on the age, amount and viscosity of the petroleum present. 4. Saturate area(s) thoroughly with water prior to application. 5. Apply solution liberally onto the stained area(s). If using a mop, simply slop the DE-OIL-It solution onto the stained areas liberally. Best to apply at night, mark off area for traffic and retreat area daily or weekly until the stain has completely disappeared. 6. For commercial use, continue treatments by including DE-OIL-IT as part of your regular maintenance program. After original stains are removed, reduce the dilution ratio to 1-part product to 20-parts water. 7. For quicker results, agitate heavier grease build ups (solids) with a bristle brush. 8. To speed up process, cover area with a rubber mat or a dark sheet of plastic. This will trap the moisture and keep the solids active. 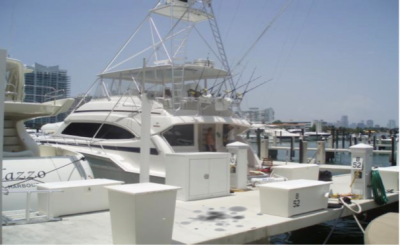 Download a PDF file of the Dock Stain Remover Instructions. Keep Product away from children. SKIN CONTACT: protective rubber gloves not required but recommended; rinse thoroughly with water until any irritation subsides; application of skin or hand moisturizer recommended after use; if irritation persists seek medical assistance. 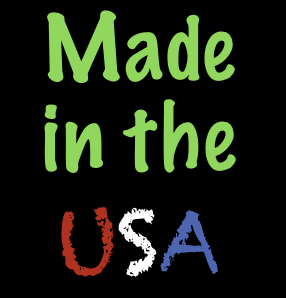 Not recommended for use on asphalt in concentrated form less than 5:1 product to water dilution – in prolonged and frequent contact on asphalt De-Oil-It can strip surface oils and/or break down grooves into the asphalt. De-Oil-It will clean oil and fuel spills on docks so throughly hardly a trace of stain will be seen. For Marine Applications your use and how you apply De-Oil-It and disposal of the cleaning process may be affected by government regulation regarding hydrocarbon contaminant (oil, grease, fuel) spills; please follow posted guidelines.